Electroplating changes the chemical, physical, and mechanical properties of the workpiece. 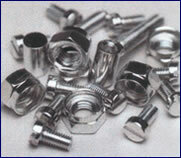 An example of a chemical change is when nickel plating improves corrosion resistance. An example of a physical change is a change in the outward appearance. An example of a mechanical change is a change in tensile strength or surface hardness which is a required attribute in tooling industry. Electroplating of acid gold on underlying copper/nickel-plated circuits reduces contact resistance as well as surface hardness. Copper plated areas of mild steel act as a mask if case hardening of such areas are not desired.Tin-plated steel is chromium plated to prevent dulling of the surface due to oxidation of tin.